Can rooftop extensions help solve the housing crisis? Building extra floors on top of existing buildings is an idea at least as old as the invention of the mansard roof. But the idea is increasingly being looked at as a possible way of helping solve the country’s housing crisis. The government certainly seems to think the idea has potential. Earlier this month, the Ministry of Housing, Communities and Local Government proposed changes to the National Planning Policy Framework (NPPF) to make it easier to add up to two storeys to an existing building. It also resurrected the idea that permitted development exemptions from planning applications could also apply to rooftop additions. So what opportunities and challenges could this present to architects? And how many extra homes will really be delivered by building up? In November, property consultant Knight Frank cross-referenced Ordinance Survey and Land Registry data to create a detailed 3D model. Its analysis concluded that rooftops in London’s fare zones one and two had enough space to provide for 40,000 new homes. This work followed a separate study carried out in 2016 by HTA Design for rooftop developer Apex Airspace, which put capacity across Greater London at 140,000. Putting the scale of opportunity into context, ‘adding one storey to Oxford Street gives you the equivalent square footage of the Shard’, says Val Bagnall, business development director at Apex. One of the main challenges to achieving this number is the attitude of buildings’ existing occupants. Leaseholders have significant legal powers to stop such developments in their tracks. Most people will build rooftop extensions to add additional volume to their own home. The idea that it will create thousands of new homes is naive. In tight urban environments, how daylight, sunlight and overshadowing affect surrounding buildings can also prove a challenge. Such factors can rule some extensions out completely. In other locations, setting the additional floors back from the edge of the existing building can help mitigate the problem. This approach also speeds up the process and helps avoid disruption, according to Bagnall. 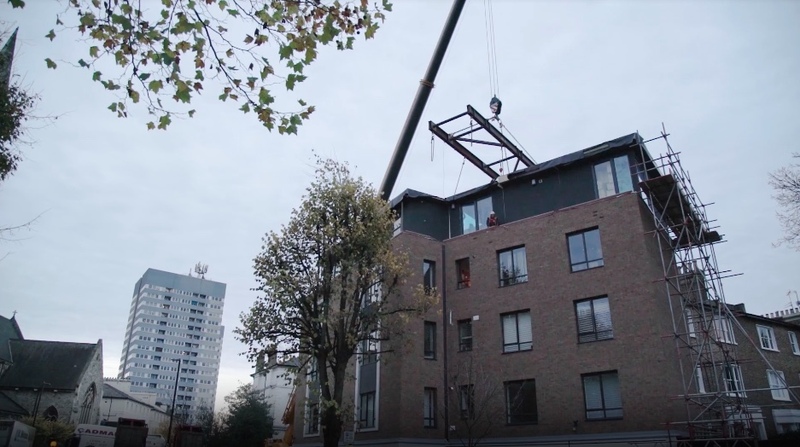 ‘If you are building right up to the edge of the existing roof then you would need to build scaffolding up the side of the building,’ he explains.